Timeless classic Maui is crafted in 18K white gold. 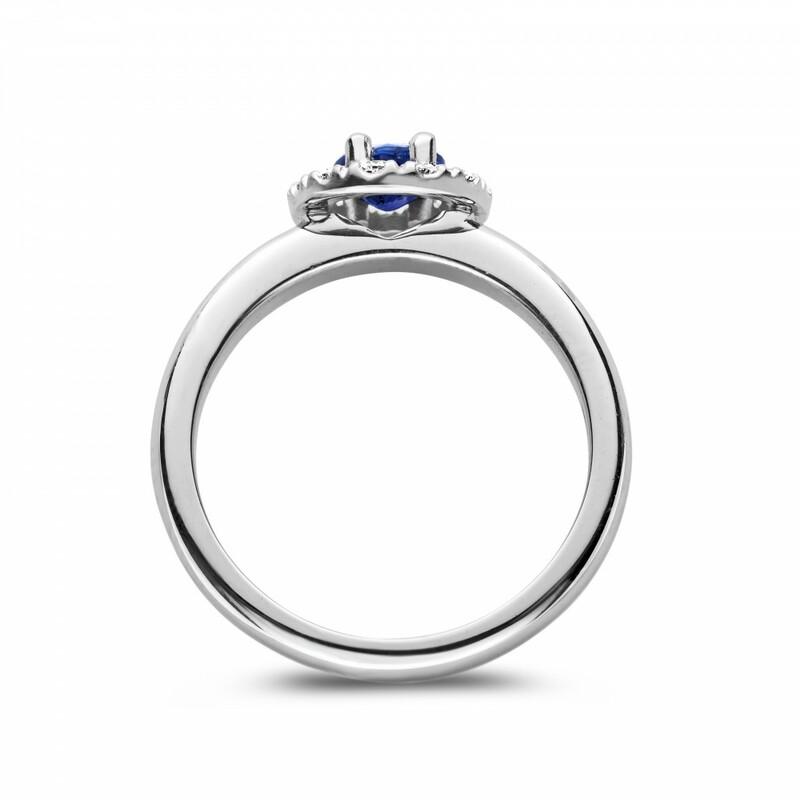 Center stone is a blue oval shaped sapphire 0,70ct surrounded by white diamonds 0,20ct. Who wouldn't say yes to this?